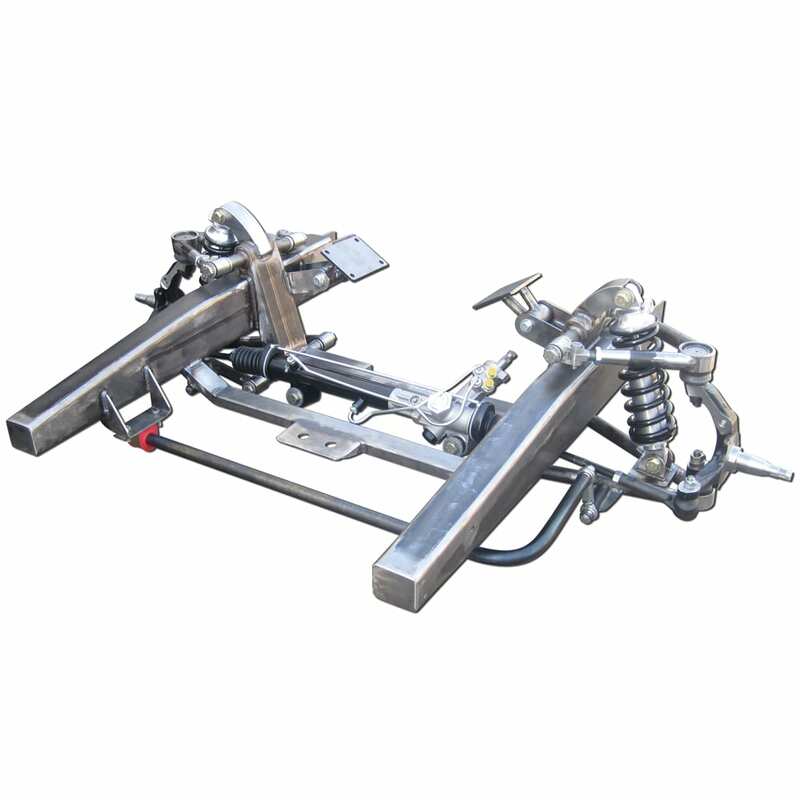 Our Independent Front Suspension is NOT a Mustang II. We do not use a 3-piece style crossmember with spring pocket hats. 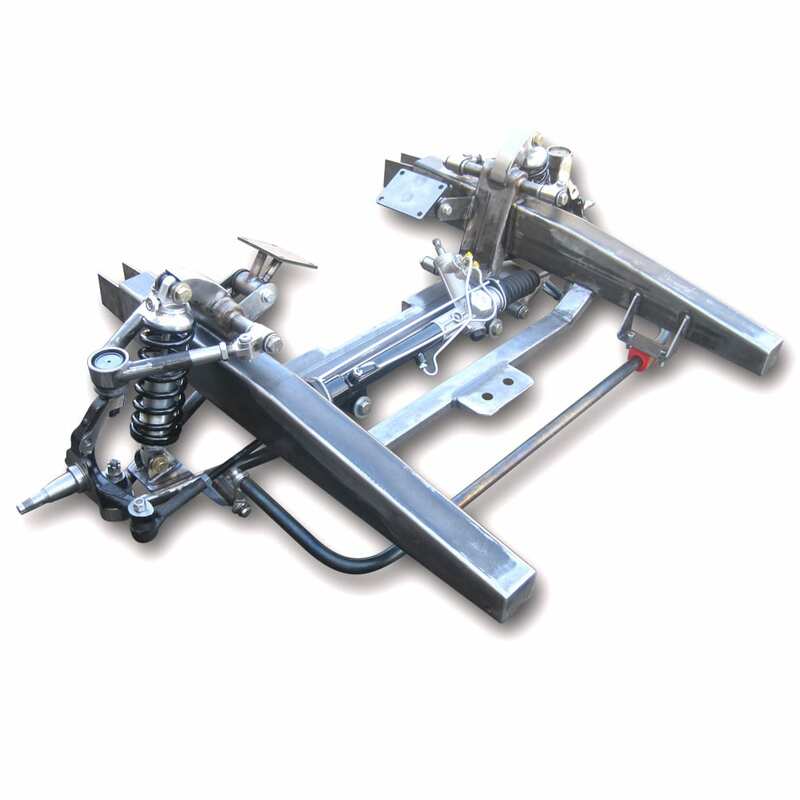 We do not use T-Bolt slider adjusters that CAN come lose. We only use Coilovers or Airbags w/ external shock. Our Suspension can be dialed in precisely and can never be knocked out of alignment. We 100% TIG Weld our kits. 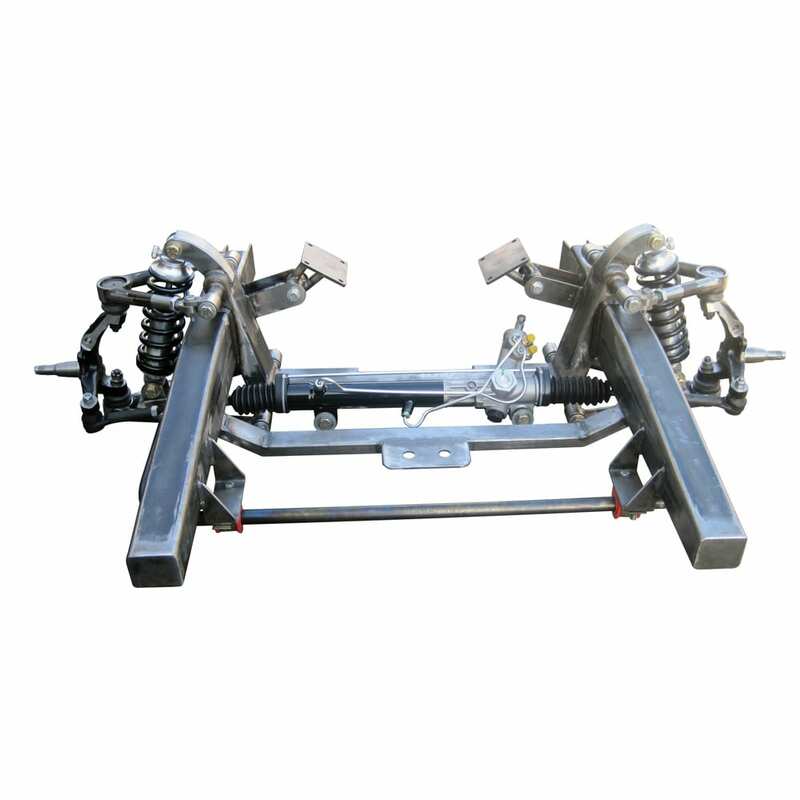 We only use 5/8″ Grade 8 Hardware..
Scott’s Hotrods Tri-5 IFS front clip is the only full front end clip with full adjustable upper A-arms on the market today for 1955, 1956 and 1957 Chevy’s. It simply replaces your stock frame from the firewall forward. It comes with all factory bumper holes and core support, so your stock sheet metal will bolt back in place. Scott’s Tri-5 IFS clip can come with either Coilovers or Airbags w/external shock. Like all Scott’s Hotrods IFS front clips, each Tri-5 IFS front clip will be built to spec, individually for each customer. 100% MADE IN USA. 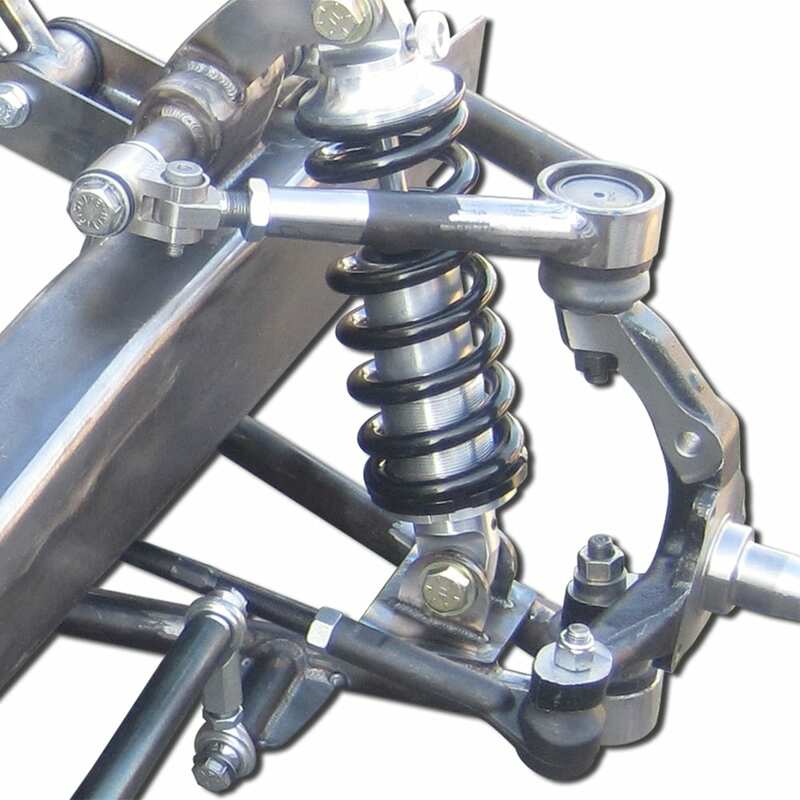 For those looking to have a tight handling coil over suspension, we can set it up to be fully tunable and adjustable to get that track handling on the weekends and a comfortable ride for everyday use.